This past weekend, I got a fun little book in the mail, Gary M Burge’s A Week in the Life of a Roman Centurion (IVP, 2015). A few years back Ben Witherington wrote A Week in the Life of Corinth, a fictional story that drew the reader into the world of St Paul as an entertaining form of learning about the New Testament. I guess this genre showed potential and has expanded into a little series, so Burge’s offering would be the next offering. 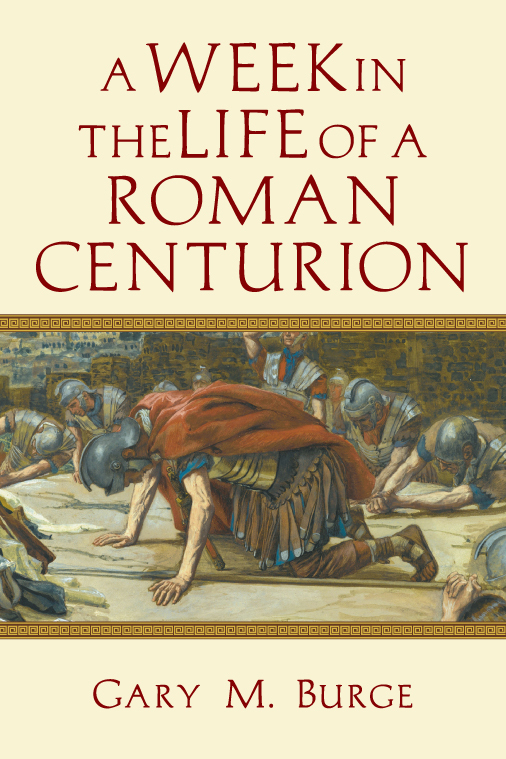 A Week in the Life of a Roman Centurion follows Appius and his household through his duties and life’s ups and downs. The book is less than 200 pages, but the writing is engaging and several characters of different household status are given significant development. I really liked this book – finished it in just a day or two. I knew Burge was a skilled New Testament interpreter, but he proved to be thoroughly knowledgeable in the geography of the Roman empire as well as historical and social dimensions of life in the ancient world. And here’s a key component – Burge is actually pretty good at the fiction writing. Most NT scholars couldn’t pull this off (Bruce Longenecker and Bruce Fisk have proven themselves to be exceptions!). Of course Burge is no Tolkien, but given all the things that must come together to make biblical historical fiction “work,” this is a real achievement. I don’t want to spoil the plot for anyone, so I will just say that this book offers helpful insight into Roman army life, honor-shame culture, tensions between Jews and Gentiles, household life, public sexuality (so this book is not G-rated “family reading, BTW! ), Greco-Roman religion, and healing/medicine. I wouldn’t say there are any weaknesses to the book, but do want to note a limitation. The book does not intersect with the New Testament directly except at one point. So, this story paints a helpful picture of the New Testament world, but it is not itself something about the “New Testament” per se. That is not Burge’s fault – the series is a kind of “spin-off” of the New Testament (or “spin-into” more accurately). Still, this may limit its value as a supplement for a NT survey/introduction. I could see it used in a NT backgrounds/settings course where the focus is on understanding culture and life in the Greco-Roman world. Again, though, I want to repeat that I deeply enjoyed this book and I highly recommend it for anyone who wants to better understanding the world of Jesus and the first Christians. I had my doubts about this one, Nijay. I read a review on Amazon that suggested it wasn’t actually that great. But I trust your judgement and I might pick this up now after all. I enjoyed Witherington’s Corinth book – once I got used to his style! Terry, I read the Amazon review and it was quite damning. But then I read Burge and I thought it was really fantastic. Check it out and see what you think.